It’s crucial to know to read a book. Some kids enter school without a thorough understanding of this basic concept. 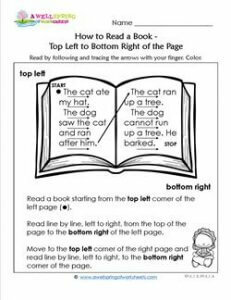 This worksheet shows kids how to read from the top left of a page to the bottom right and to repeat that page after page.